So we survived our trip to London. :) The weather sucked but the city was so amazing it didn’t matter! Click the “read more” to see the rest of the post. It’s quite image heavy and I didn’t want to put them all on the front page due to loading times. 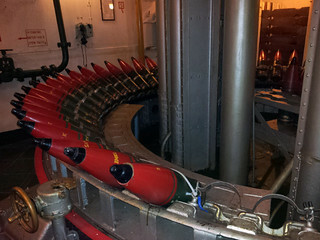 I’ve also uploaded a set to Flickr if you want to see all of the photos. The first thing that happened was that British Airways lost our luggage. :glare: It never showed up on the luggage belt and after waiting for almost an hour we went to one of the help desks where a very nice man arranged for our bag to be delivered to our hotel… as soon as they found it. Apparently the bag hadn’t even made it to Heathrow at all because later that night (Thursday) I got a text message saying it had been located and was estimated to arrive at Heathrow the next day (Friday). Ok? We got our bag Saturday morning… It had been delivered to our hotel during the night so I was able to fetch it from the lobby when I woke up. We only had clothes and toiletries in there, so nothing truly important had been lost, but I was still relieved to get it back. I also learned my lesson: keep at least one change of clothes in your hand baggage when flying. You never know what might happen. Our hotel was only a block away from Tate Modern and thus pretty central in terms of tourist attractions, with Westminster to the west and the Tower of London to the east. Friday we decided to head west and ended up seeing the London Eye, Big Ben, Whitehall and the Horse Guards, Trafalgar Square and Soho. I was impressed by the Town Hall in Munich, but I think Parliament and Big Ben is even more impressive. That whole area is just… all the buildings are so huge and ornamented and… wow. 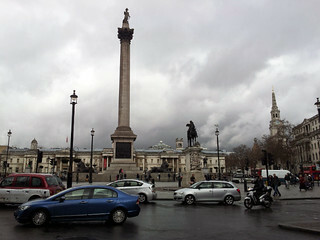 Trafalgar Square too for that matter. I had to stop every two meters just to scrape my chin up from the pavement. 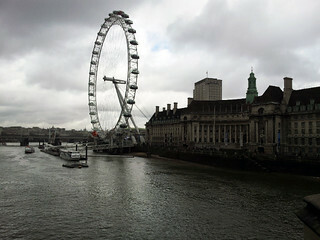 We skipped taking a ride with the London Eye since we didn’t have pre-booked tickets and it was LOTS of people there. Saturday we walked over to Tate Modern and walked around in there for a while. 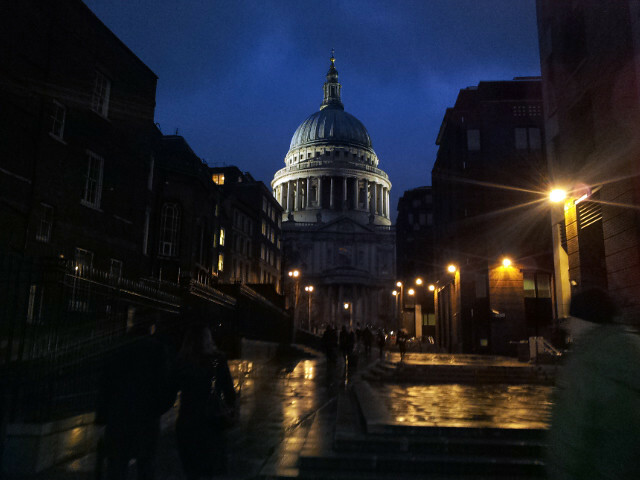 What an amazing building! 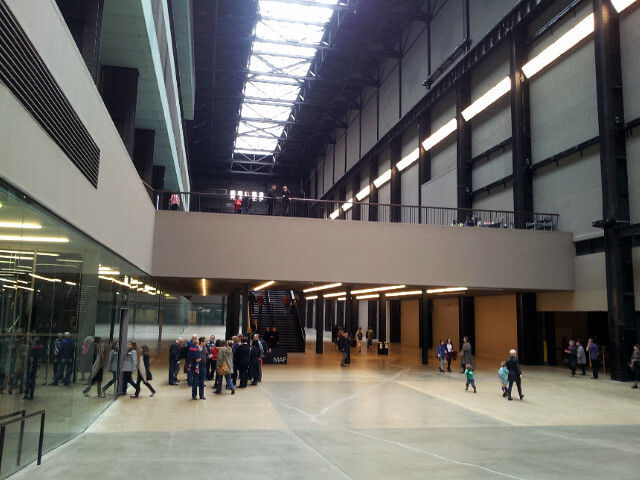 I barely looked at the art because I was too busy marvelling over the HUGE old turbine hall. I think I spent more money in the Tate gift shop than in any of the other shops we visited. They had a large selection of paper goods, art supplies and lots and lots of books about art and artists. 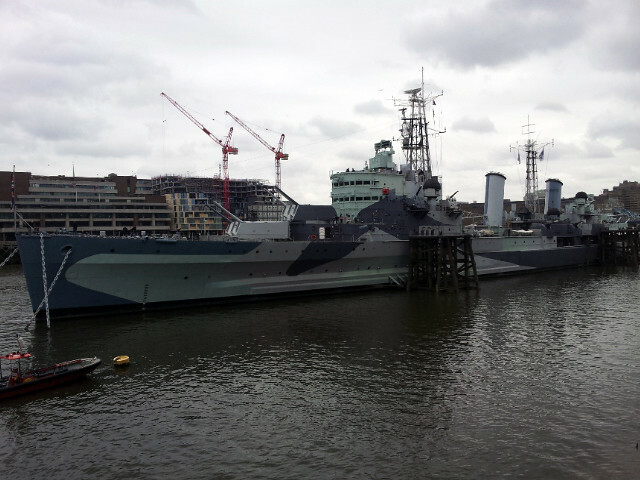 After Tate Modern we walked east along the paths by the river until we came upon HMS Belfast, a warship from Word War II now serving as a floating museum. Of course we couldn’t pass up on that, and Markus is such a WWII nerd I think that was one of his favourite things about the trip. 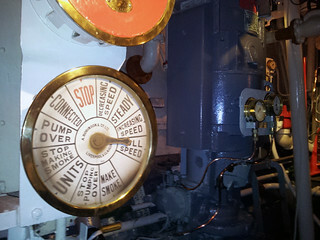 Almost the entire ship is open for visitors and we were free to explore the different areas and levels however we wanted. It was pretty unusual, and very interesting. 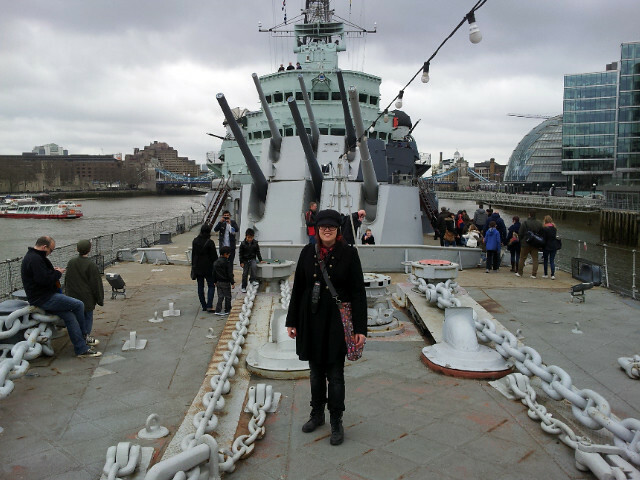 Sadly I missed the Tower of London… It took a lot of time and energy to climb around HMS Belfast (The ship is several floors high. Or deep? How to you say when it’s a ship?) so when we got off the ship we were completely exhausted. 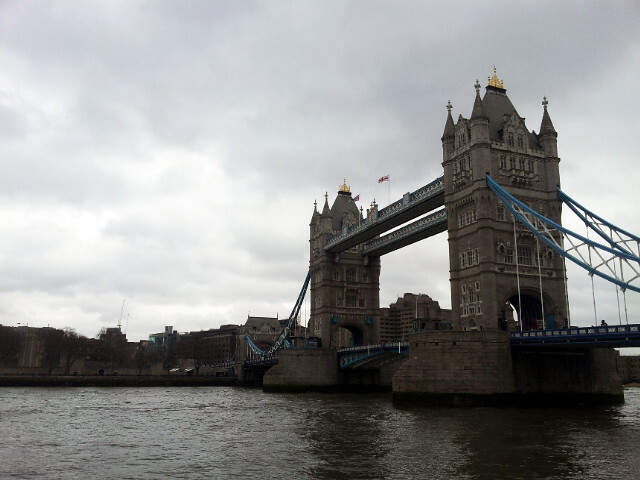 By the time we had walked all the way to Tower Bridge and AROUND all of the Tower to get to the ticket booth we were even more exhausted and it was getting late. I didn’t buy as much as I thought I would. There’s no shortage of shops so it’s not that, but I think I was to busy just looking at everything to really focus on shopping. 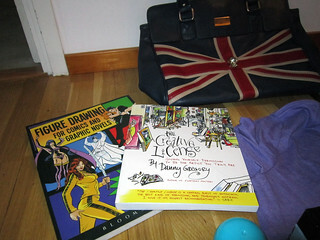 What I did buy was a couple of books from Tate Modern + a pen shaped like a brush, a t-shirt from David and Goliath, a scarf from Primark (hell on earth according to Markus ;) ), nail polish from Illamasqua, a plastic owl filled with hand cream from a shop filled with rainbow coloured items, a Union Jack bag and a Union Jack umbrella. 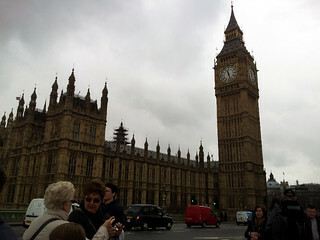 Overall London was fantastic! Crappy weather but I still loved it. I’m already planing to go back as soon as I can. 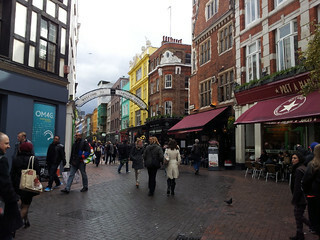 :heart: I HAVE to go back actually, I need to take proper photos and visit the Tower and I still haven’t seen Nothing Hill or Camden Town or Stonehenge. In fact I’ll start saving right now. Vi bodde på CitizenM i Southwark och JA, jag kan verkligen rekommendera det! :) Bra läge ganska mitt i, jättefina moderna rum och väldigt trevlig personal. Dom hade medlemskort till några av museerna också, så man kunde gå in gratis på flera ställen som annars hade kostat. Priset var typ medel, inte det billigaste men inte det dyraste heller – klart värt pengarna i mitt tycke i alla fall. 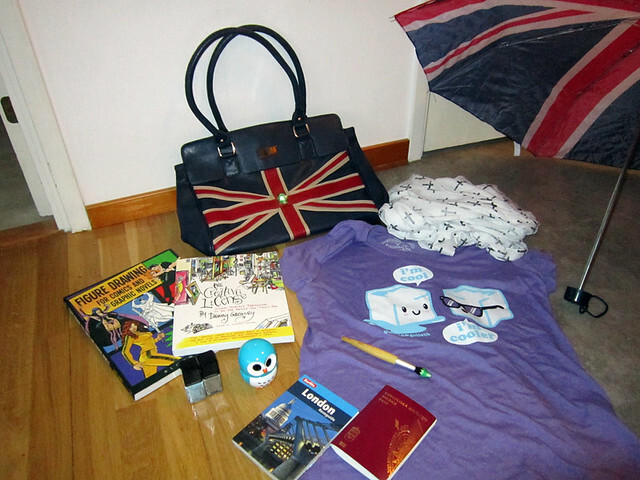 I love your London gear haha, I didn’t buy much of that while I was gone. But LONDON! I loved it there! Can’t wait to draft up my posts. Oh it sounds like your trip was really amazing! You saw so many cool things. Plus I am sure you got lots of exercise walking all around. Yay. Loved the photos. This makes me want to pack my bags and leave for London right now! 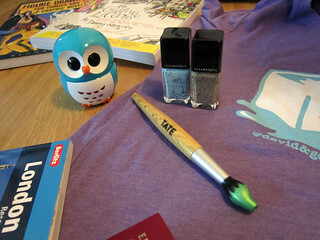 I love all the pictures, and I love the little owl and paintbrush pen you bought. Illamasqua is one of my favorite beauty brands too! 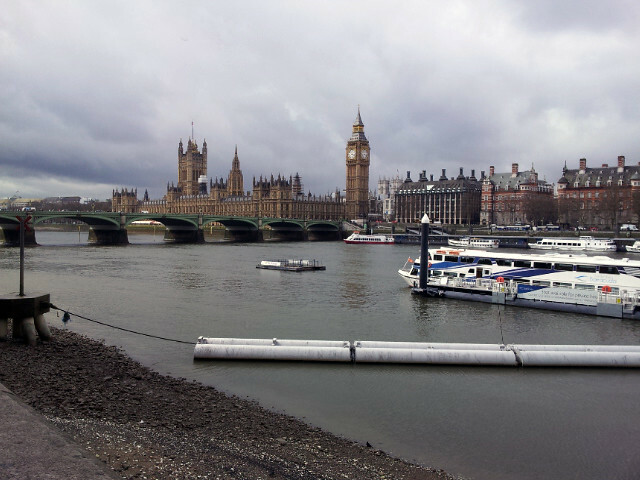 London is beautiful! I liked looking at your photos :) I’m glad they found your luggage. I often pack some clothing and PJs in a carry on because I’m paranoid of my luggage being lost. It sounds like you went to a lot of cool places! I’m glad you had a good trip!